When You’re Craving the Best Seafood Restaurant in Naples, Florida for Fine Dining, Join Us at USS Nemos! Savor award-winning cuisine in a unique atmosphere at USS Nemo, voted a top restaurant in Naples, FL year after year. 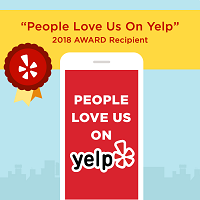 USS Nemo, a five-time member of the Trip Advisor Hall of Fame and described by the New York Times as “almost worth a trip to Naples in and of itself,” you’ll find the best seafood and an unforgettable fine dining experience. At Nemo’s, the food is always fresh, and the flavors are incomparably delicious. Come enjoy USS Nemo miso-broiled sea bass. It’s our signature fish entree. Zagat Survey reveals that Nemo’s patrons include “locals [who] would go 20,000 leagues for to-die-for” cuisine, including our signature miso-broiled sea bass. Our signature fish entrée, served alongside “exciting, tantalizing, outstanding” menu selections for any meal, assure you’ll agree Nemo’s is one of the best Naples restaurants for lunch and dinner. the food and variety of selections on the menu at USS Nemos. Whether you’re out to enjoy lunch or dinner, our seafood and land entrees are sure to take your palate on a journey through distinctive flavors that make each Nemo’s dish delicious. From appetizers to sweet finales, USS Nemo’s is sure to elevate your appreciation for great food with the best seafood and fine dining in Naples, Florida. USS Nemo’s is the south Floridian’s destination for outstanding cuisine. Make a reservation for a special lunch, or arrange an extraordinary evening out for dinner and dessert. Whether you prefer inventively prepared dishes from sea or land, the freshest and most flavorful ingredients make Nemo’s a favorite restaurant in Naples. USS Nemo’s miso-broiled sea bass solidifies our place as a perennial top 10 restaurant in Naples, but our signature dish is only the start of our inspiring menu. Craving Mediterranean? Try our wood-grilled branzino with sautéed artichokes, feta with tomato, and warm olive pine-nut vinaigrette. Have a taste for the delights of Indian cuisine? 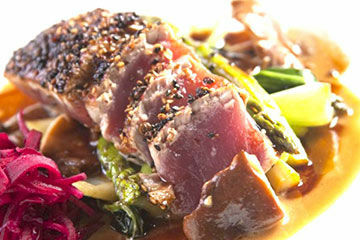 Ask for prime tuna, blackened with tandoori spices and served alongside mango chutney. Savor our sautéed halibut, or tuck into seared scallops or jumbo lobster. 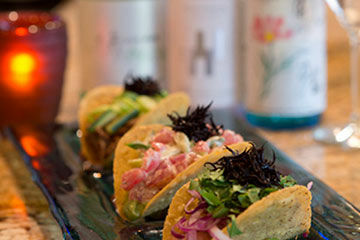 Nemo’s menu delights every seafood lover. USS Nemo offers an extensive lunch menu that will satisfy any mid-day craving. Whether you are looking for a flash-seared tuna pizza or a grilled branzino salad tossed in our delicious lemon dressing. USS Nemo has always been known for our amazing dinner menu but our new and fresh lunch menu has the lunch crowd rushing in. Our new Poke Bowls have quickly become a Naples lunch favorite with a fish or shellfish salad served on top of steamed rice or quinoa. Similar to a deconstructed sushi roll, our Poke Bowls have been labeled a must try menu item when dining in Naples for lunch. Stopping by for dinner? Although Nemo’s is known for our seafood, our land-based appetizers and entrées will satisfy the most discriminating palate. Whether you’re in the mood for steak, lamb or pork, our land entrees menu is sure to please. Try our Grilled Colorado Lamb Porterhouse, five-spice Kurobuta pork or a succulent New York Strip. 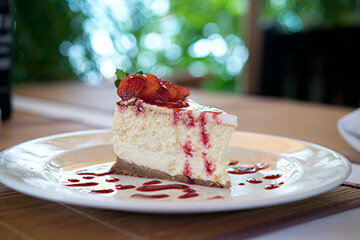 When you’re finished, explore the options on our dessert menu. Enjoy a taste of the tropics with our fresh coconut cream pie. You might also want to sample the smooth taste of our key lime cheesecake or keep it simple with seasonal berries, served alongside whipped cream — and that’s just the start. From profiteroles to bread pudding, our sweet treats offer the perfect ending to every meal. 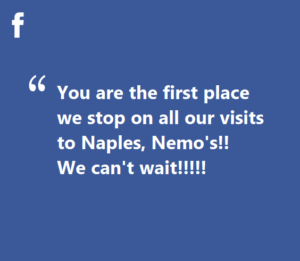 Embark on a culinary adventure at Nemo’s, the Naples restaurant that’s worth a trip from anywhere. 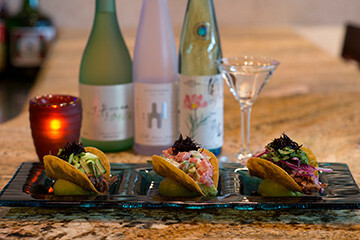 Nemo’s is located at 3745 Tamiami Trail North, just a mile from the Gulf of Mexico. USS Nemo Restaurant has been acknowledged by Best Chefs America for four years straight!